Your Partner for Navigating Amazon. Nexus Brand Group provides end-to-end solutions for brands that want to skyrocket their Amazon business. By leveraging past Amazon experience, Nexus is uniquely positioned to grow your top line, bottom line, and everything in between. Experts with Vendor Central, Seller Central, Amazon Marketing Services and much more, Nexus can step in for any brand that needs help navigating the Amazon Marketplace. Nexus approaches each situation uniquely to ensure the correct brand image is being portrayed while also being optimized for the Amazon environment. Take your hands off the wheel and give us the keys. Nexus will manage every aspect of your business from the beginning - item setups and inventory planning - to growth strategy execution and annual assortment planning. Our goal is to take over our areas of expertise so we can allow you to focus on yours. We can jump in regardless if you're a large company looking for subject matter experts or a small shop that doesn't have the bandwidth to deal with the complexities of Amazon. 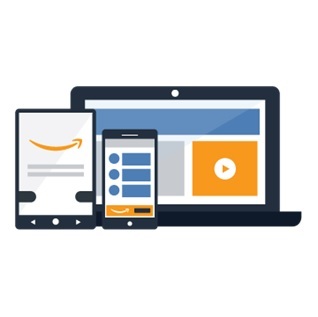 With years of digital advertising under our belt, we are experts in the field of expanding and optimizing your Amazon ad strategies. We help plan, negotiate and execute large-scale display campaigns and/or you improve the performance of complex search advertising. We know some businesses are set up for self-service management but could use some guidance to get their business on the right track. Nexus consults on projects ranging from initial setups of business to building growth strategies for clients to execute. No Amazon project is out of scope for us.